Two words for these two love birds: DRUNK in LOVE. Now for those of you who don't slay like Beyoncé, then just go ahead and skip to the last paragraph. 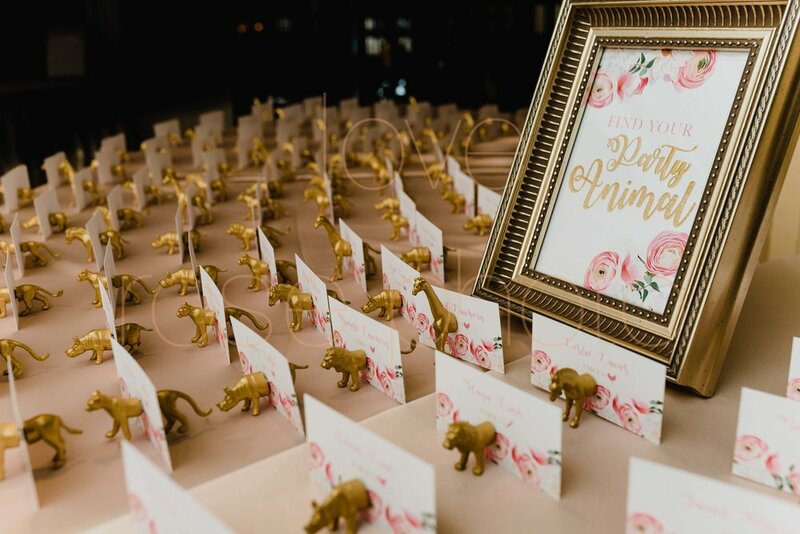 But for those that do, you really just need take one good look at this gorgeous couple's big day captured recently in downtown Chicago to see that palpable, intense, sincere and over the top love that they share. From the moment we started to capture their love story at Lynsey + Frank's perfectly styled engagement shoot around Chicago's Loop, I could immediately tell these two were made for each other. On the morning of their wedding, love notes were passed, excitement was high and drunk in love tears dangled from many an eye at The Knickerbocker as we captured preparations for the day. 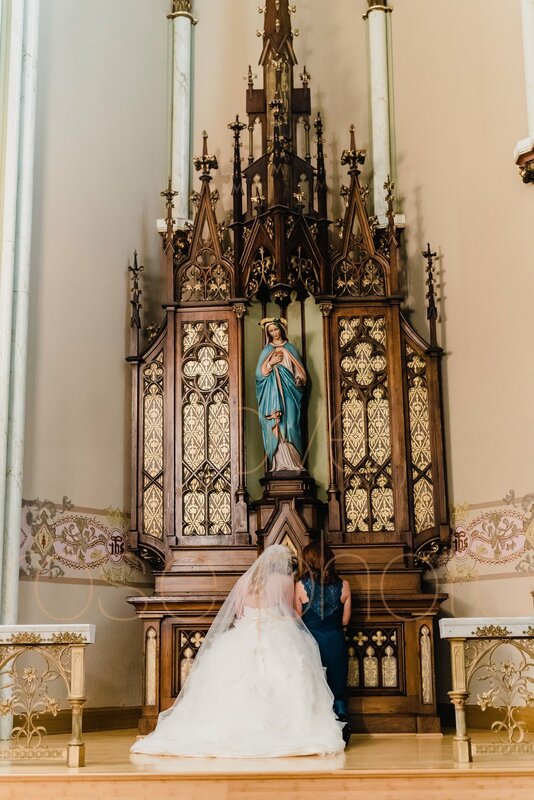 The full mass at St. Joseph's Parish on through bridal party photos along Chicago's Mag Mile all gave a dreamy backdrop for capturing their love story. Like it a scene out of that waking dream, a vintage Rolls Royce appears as we are photographing in front of the Board of Trade. JUST LIKE A BEYONCÉ drunk in love Dream! Just another day at the office, as we slay in love! It seemed to me that Saturday, June 24, 2016, was a day that Lynsey had dreamt of for years and 'cool as a cucumber' Frank had known that this day would look just like this always. 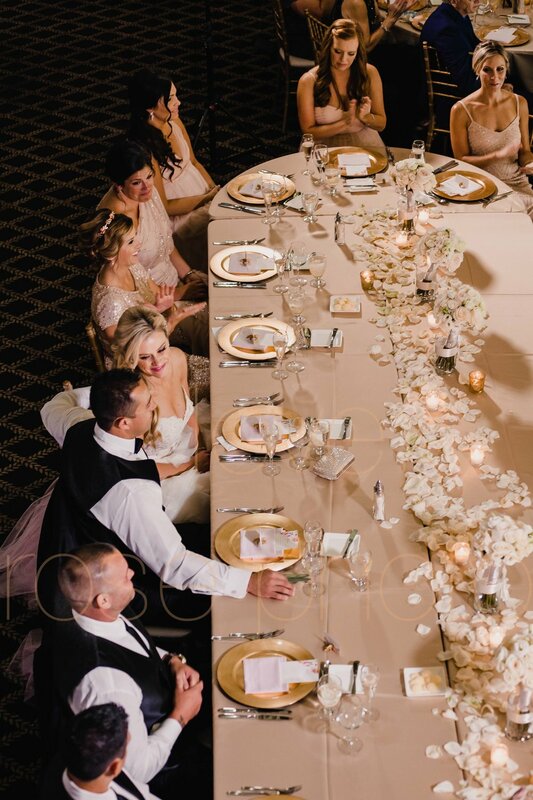 Her Lazaro gown was cut from the fairy tale mold and his custom tuxedo was dapper as all get out! 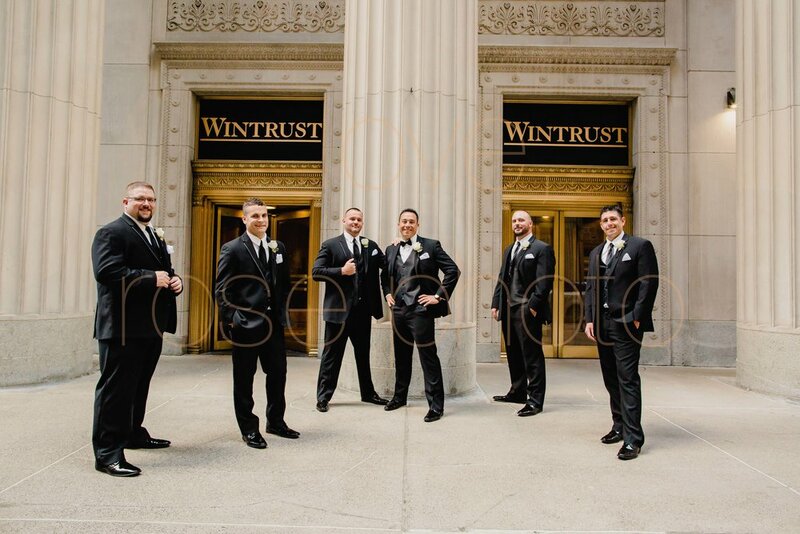 It was aperfect summer day that was breezy and a bit cooler than usual, the amazing details of floral, sparkle and old school Chicago, with a good amount of wedding day glam, all while their guests joined in on their excitement. For the many sweet stares we've captured, the ones that we didn't and the many more Lynsey + Frank are sure to share over their future together, my team and I are grateful to witness your real true, honestly tangible, drunk love! It's what my dreams are made of and we are so thrilled yours came true on your wedding day. We love your love!